BlackLine Task Management provides a configurable, web-based command center where you can manage accounting and finance tasks. Utilizing a hierarchical task list, role-based workflow, and real-time dashboards, the task management product allows users to track and control a variety of task types, including month-end close checklists, PBC lists, tax filings, and more. BlackLine Task Management provides hierarchical task lists and workflows to control numerous manual processes across accounting and finance. Cross-product task dependencies, certifications, and email notifications combine to ensure that tasks are established, assigned, communicated, and achieved ahead of deadlines. Tasks are configurable across BlackLine products and can be linked with reconciliations and journals, guaranteeing the correct sequence, flow, and rollup of related activities. Milestone tasks can be used to track activity and automatically certify when child tasks are executed. 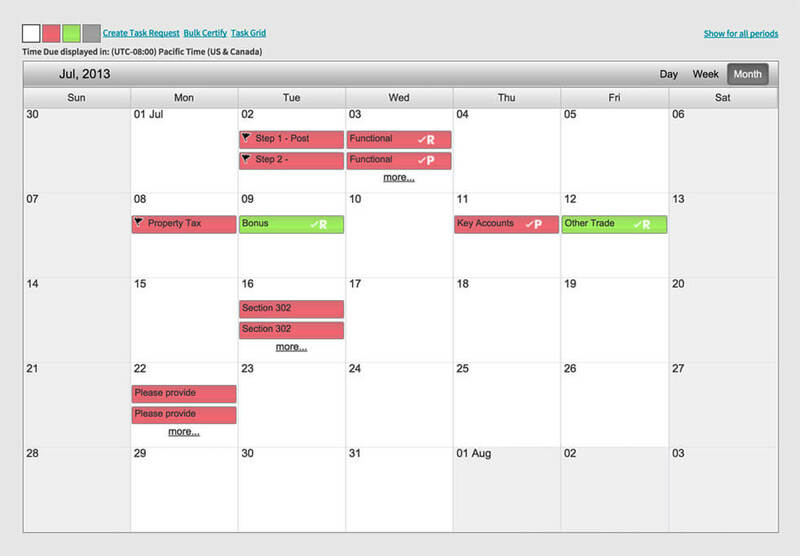 Management-level reports give visibility into the global close calendar. Real-time dashboards and comprehensive reporting capabilities give accounting leaders immediate visibility into completed and outstanding items by task type, geographic location, and due date. Automatic notifications warn users of pending tasks and notify management of overdue tasks and bottlenecks. BlackLine builds solutions that modernize the finance and accounting function to empower greater productivity and detect accounting errors before they become problems. BlackLine products work in unison to eliminate manual spreadsheet-dependent processes prone to human error. BlackLine Account Reconciliations automates and standardizes the reconciliation process, and natively integrates with other BlackLine products to help manage every element of reconciliations and the financial close. Streamlining account reconciliations helps ensure accurate and efficient accounting activities, free from manual, error-prone practices. BlackLine is the only provider that offers a unified cloud platform supporting the entire close-to-disclose process and the leader in Enhanced Finance Controls and Automation software. BlackLine enables clients to move away from out-of-date practices and help finance and accounting professionals work smarter, more efficiently, and accurately. Clients around the world use BlackLine. BlackLine’s cloud platform unifies the experience of more than 222,000+ people around the world as they accurately, securely, and efficiently execute critical accounting tasks from reconciliations and journals to intercompany settlement and the financial close.